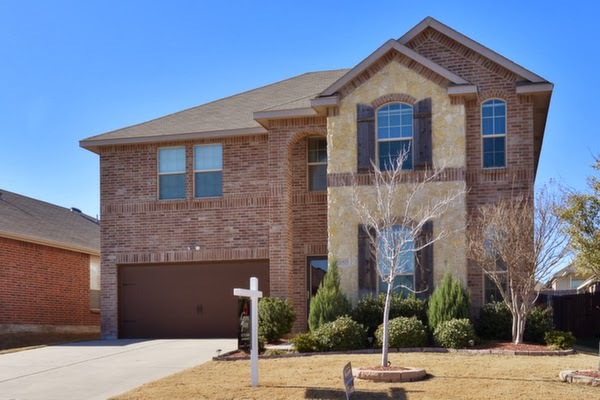 Saddlebrook Estates, located just north of Keller Parkway and west off of Keller Smithfield in Keller, Texas, offers an ideal environment for homeowners seeking a smaller city, excellent schools, and convenient access to shopping. Keller residents are justifiably proud of their impressive city park system, extensive network of walking paths and biking trails, and Keller Pointe, a multi-purpose facility offering fitness, massage, recreational sports, and wellness programs. Homeowners in Saddlebrook Estates can meet their day to day needs with a short drive or bike ride to Tom Thumb, Kroger, and local pharmacies. Ace Hardware, Big Lots, and Stein Mart are all nearby and provide the variety of merchandise offered by chain stores without a big box atmosphere. Shops and restaurants in Old Town Keller afford boutique shopping for antiques, gifts, collectibles, and personal services. Of course, additional shopping can be found in Southlake, the Alliance area of north Fort Worth, and Dallas. Many residents of the neighborhood live and work in Keller, but others drive to Southlake, Alliance Airport, Fort Worth, and Dallas. Saddlebrook Estates is located within the Keller School District. The district maintains an excellent reputation for academics and athletics. Schools serving the neighborhood are Keller Harvel Elementary, Bear Creek Intermediate, Keller Middle School, and Keller High School. A great number of residents of the city of Keller work and live in Keller, but many also commute west toward Fort Worth and east to the Dallas area. Golden Triangle Boulevard has been widened for improved access to Fort Worth and the west while an extensive project to enhance thoroughfares to the east (Highway 114 and Highway 121) is nearly complete. In the recent past, seven homes in Saddlebrook Estates have sold with an average sales price of $294,100 and an average days on the market of 30. The majority of the subdivision was developed and homes were built from 1999 to 2003. About 90% of homes are two story with an average square footage of 2,955 square feet, and sizes vary from about 2200 square feet to 3700 square feet. The well-maintained neighborhood requires membership in a homeowner's association, but the fees of approximately $150 per year are modest in comparison with others in the area. Visit this custom search for homes for sale in Saddlebrook Estates on our website. Just listed in the Villages of Woodland Springs, this stunning home offers four bedrooms with two and a half baths. Located in the acclaimed Villages of Woodland Springs that features a fantastic amount of amenities that include six pools, an amenity center, parks and walking/biking trails, retail and medical. Easy access to highways, bi-ways, and great restaurants. The flexible floorplan offers an open concept creating an inviting atmosphere that is perfect for entertaining. Enjoy the expansive kitchen that offers granite counters, ample cabinets for storage and plenty of counter space. Escape to the downstairs master retreat offering an en suite bath with dual sinks, large soaking tub and great walk in closet. Three generously sized rooms are upstairs with a gameroom - perfect for game day Sunday or snuggling up to watch your favorite movie. Competitively priced at $192,500, offering 2,764 sqft and built in 2008 contact the Grove Team today to schedule a showing of this lovely home. Looking for something different in the Alliance Corridor? Visit our custom search page to find your perfect home - search here now! "This post is based purely on personal experience, and I am not a computer expert, but my encounter with the program Conduit was so negative that I thought I would alert followers of our blog. Last week I realized that Bing had taken over my browser and all of my requests to visit specific sites were being redirected to other sites. For example, I would type in www.norton.com to learn how to deal with the virus and be redirected to another Internet security company with a site that looked like Norton's. It was absolutely miserable. When I searched Google for information, I found hundreds of similar complaints and some suggestions of ways to deal with Conduit. I wasn't able to make any of the suggestions work for me. I finally purchased Norton's one time virus removal ($99.00) and the third technician was finally able to clean the virus from my system. In short, do not download any program that mentions Conduit. 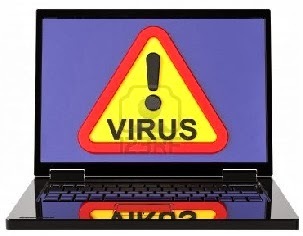 I am very careful about my downloads and am convinced that I contracted the virus because I agreed to an update from a major company (e.g., Microsoft or Adobe.)" Whether you are selling a home for the first time or you are experienced in the process, selling your home can be stressful. When you are selling over the holidays the added hustle and bustle can create a new dynamic to contend with. The Grove Team's experience can help you through each step of the process. Here are some helpful tips and tricks to get your through selling during the holidays! Regardless of the time of year, a clean, organized and decorated property goes a long way creating an inviting property. Properly staging your home will help buyers envision themselves and their belongings in the space. Staging a home can not only be simple and inexpensive, as a seller it is possible to justify the asking price if the property looks great and highlights the key features. 1. Staging Basics – Before starting any holiday staging, you must first start with the basics: neutralizing rooms, returning them to their intended purpose, fixing damage, etc. 2. Choose a Theme – What is the particular holiday you want to focus on? Or do you prefer a season such as fall or winter? Selecting a theme will keep things stream-lined and easier to decorate. 3. Generalize for Reuse – To minimize costs, choose items and a theme that you can easily re-purpose after the holiday season. Recreate classic items like wreaths, pumpkins, table runners and topiaries that never go out of style. This means less cost for you and a more seamless transition through the season. 4. Have Fun – Select staging options, themes and items that are going to excite you while you use them and arrange them in your home. Enthusiasm is contagious and will hopefully rub off on the buyer. Not ready to put your home on the market during the holidays? It is never too early to start planning for next year. Visit the Grove Team's website to learn more about a successful sale, preparing for pictures and more! The Woodlands at Hidden Lakes Hidden Lakes enjoys the status as Keller’s largest master planned community and offers all of the amenities that size offers: a gracious clubhouse, a volleyball pit, playgrounds, pools, and soccer fields, but maintains an intimate neighborhood atmosphere within its nine villages. The Woodlands is one of those villages. Located south of tree-lined Bear Creek Parkway, the Woodlands contains five neighborhoods: Woodlands I, Woodlands Central, Woodlands South, Woodland IV, and Woodlands West. Prospective residents of the Woodlands may choose from a wide selection of lot sizes and builders to suit any lifestyle. Outstanding schools are of prime importance to residents of the Woodlands. The homes lie within the acclaimed Keller Independent School District. Children attend Hidden Lakes Elementary, Bear Creek Intermediate School, Keller Middle School, and Keller High School. Home values in the Woodlands in Hidden Lakes: Average price: $424,447 Average days on the market: 45. Search for homes listed for sale in the Woodlands here! 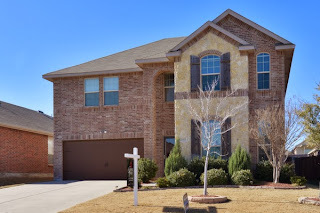 Are you looking for a home in Keller? 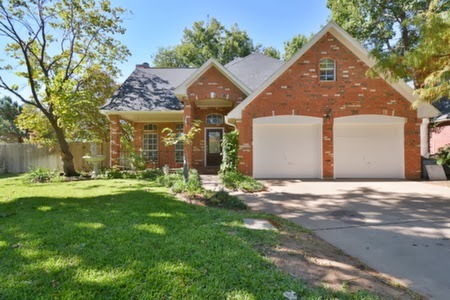 Visit the Grove Team website to search homes for sale in Keller, TX. 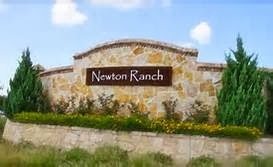 Located in Keller between Keller Parkway and Johnson Road off of Keller Smithfield Road, Newton Ranch presents a prime opportunity for those seeking a central Keller address. New construction and resale homes are priced from the high $300’s to the mid $500’s with Grand Homes and K. Hovninian continuing to build. As the community begins to mature, buyers are able to purchase newer, lightly lived in homes at lower prices than new construction. Visit this custom link for homes for sale exclusively in Newton Ranch. Keller represents an ideal choice for those seeking the atmosphere of a friendly, more intimate community with the convenient access to Dallas and Fort Worth. Keller consistently wins awards for its sound city management, hiking and cycling trails that span the city, abundance of trees, and its first-class public schools. Consumers often associate holiday shopping with long lines, crowded stores and overpriced goods. In recent years, many have turned to e-commerce as an easier alternative - holiday shopping without the headache. This year e-commerce sales are projected to reach $262 billion, a 13-percent increase over 2012. This growth is due, in part, to the rising popularity of online "shopping holidays" like Cyber Monday, which is celebrated annually the Monday after Thanksgiving and accounts for more online sales than any other day of the year. Last year, Cyber Monday sales reached $1.46 billion - a record for online spending in one day. Hampering celebration of this stress-free alternative to in-store shopping is the rapid growth of cybercrime. Cyber thieves are to blame for $113 billion in consumer financial losses in the last 12 months. That's enough money to host the London 2012 Olympics nearly 10 times over. An equally alarming statistic is the rising average loss per victim, which doubled from 2012 to 2013 to $298. Despite the aforementioned dangers, many online shoppers are unaware of the risks associated with online shopping and don't believe they'll become one of the 556 million annual victims. Forty-eight percent of smartphone and tablet users do not take even the basic precautions such as using passwords, installing security software or backing up files from their mobile devices. As the popularity of online shopping continues to rise, so do the opportunities for hackers to steal personal information. Online shoppers need to be aware of the risks associated with online shopping and take proactive steps to protect themselves. * Boost password strength: Weak and ineffective passwords enable identity theft. The first rule of password construction is to go long. Short passwords can be uncovered by high-speed programs built to steal password combinations. * Ditch the debit cards: Debit cards are the least secure option for e-commerce purchases. PayPal and credit cards offer much better consumer protections including dispute resolution and fraud prevention. * Use the most secure network possible: Wired networks are always preferable to wireless. If a wired network is not an option, make sure to use a secure wireless network that requires an encryption key. Be especially wary of accessing public Wi-Fi services at places like airports and coffee shops. * Don't store personal finance information: Don't store credit card details online. Storing any payment information online exponentially increases the probability of a cyber attack. * Shop on reputable sites: Scammers often begin fake URL's with names of reputable companies to lure consumers in. To avoid accidentally clicking on an infected site, look for the SSL certificate and ensure the site starts with https:// and has a padlock icon. Cyber Monday is the most active day of online theft. Consumers should follow these tips all year long but should remain extra vigilant during the holidays to avoid the increased risk of falling victim to cybercrime. A kitchen provides physical and spiritual nourishment, and for many a home is now the heart and soul of family life. The kitchen's central importance in most households means that Americans are paying more attention than ever to the design and decoration of this vital space - a search for functionality, comfort and beauty that's reflected in current trends in hardwood kitchen cabinetry. There is an increased demand for rift-sawn white oak cabinets. The reasons for rift-sawing oak are not just practical (it produces very stable boards that are especially resistant to warping and shrinking, an important consideration in moist kitchen environments) but also aesthetic. It results in a distinctive grain - tight, straight and even - that takes neutral or light stains exceptionally well. Today it's creating kitchens that are sleek and modern but also warm and inviting. Treated this way, the venerable hardwood gives contemporary homeowners the best of both worlds - cabinetry that's clean-lined, efficient and durable yet still exudes a natural, organic quality. Many customers are also requesting white oak cabinets that have been either cerused (limed) or wire-brushed, two textured finishes that produce an understated rustic. In fact the impulse to keep things light and simple is another watchword with today's kitchens. Not as austere as the minimalist look that was trending a few years ago, light-and-simple refers to the design as well as the finish or color of the hardwood cabinetry: shaker-style recessed-panel doors in blond beech or white-painted maple are the classic example of this turn toward a bright, uncluttered kitchen environment. The trend toward simplicity and understatement can be seen in more elaborately embellished kitchen cabinetry too. While add-ons such as carved feet, undercounter corbels, and crown moldings, or decorative flourishes like turned legs, raised panels, and fancy cutouts are still in demand, they are noticeably more constrained and smaller-scaled than they would have been a decade ago. 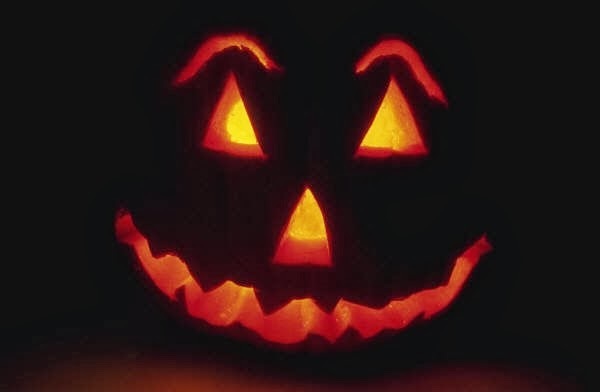 Carving is quieter and less ostentatious; lines are simpler and less convoluted. Another way Americans are making the kitchen an even more central part of their homes is by installing cabinetry that looks like fine furniture. This style can range from totally freestanding pieces to kitchen islands that resemble tables to fitted cabinets that use furniture-emulating details. A current favorite is the stand-alone armoire, with drawers for storing silverware, table linens and serving pieces, and an upper portion ideal for housing a flat-screen television. Made of painted maple, it will exude an easy country vibe; fashioned in stained cherry or black walnut, it will become a handsome heirloom-quality piece.- A bulky kitchen island can be transformed into an open, airy worktable by removing the base and replacing it with elegantly turned legs. And furniture-style drawer pulls and door handles on wall and base cabinets bring the atmosphere of the living room into the kitchen. The pleasing visual diversity normally found in a living room can be introduced into the kitchen by using different finishes on different pieces of cabinetry. Many homeowners are using this strategy when faced with the classic kitchen layout in which a central island is surrounded by walls of cabinetry: And of course it's always possible to highlight an individual piece or a particular section of cabinetry by using a distinctive stain or paint color. 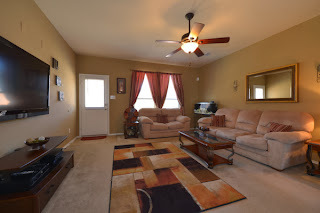 Are you looking for a home in a quiet, established neighborhood that is turn key and ready for your furniture? Stop the hunt now and check out 5208 Coventry Place in Colleyville. Expertly re-designed by TK Homes, this home is situated on an expansive half acre lot. No detail has been left undone - brand new vinyl, low-e windows, custom cabinets in the kitchen and two of the three baths, new interior and exterior paint, newly installed hand scraped hardwood floors, updated fixtures, updated electrical and new pool equipment. 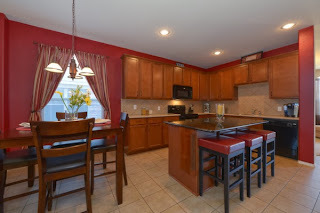 The kitchen has been completely re-designed with upgraded granite, stainless appliances complete with double ovens! The floorplan has been updated and redesigned offer a fantastic layout for entertaining, split bedroom concept and two living areas. Be sure to check out the fourth bedroom - featuring a private entrance, this room can easily be used as a private study or home office. Plenty of room to run on the expansive lot complete with a deep in-ground diving pool. 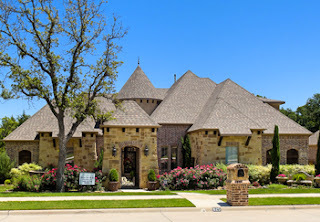 For more information about homes for sale in Colleyville, or for additional information about this home, visit our website, groveteam.com. As the holidays roll around, it's natural to want to spread good tidings and cheer with festive decorations like wreaths, candy canes and Santa Claus figurines. But this year, instead of digging out the same old holiday decorations, why not create some new looks that will last the entire winter season, even after you put away the gift wrap and ornaments? Nothing says winter like the fresh smell of pine and the soft, warm glow of candle light. Repurpose simple glass bottles into an outdoorsy candlescape with a stone textured finish spray paint. It goes on easy and gives you the natural beauty of stone and an elegant, professional-looking appearance. 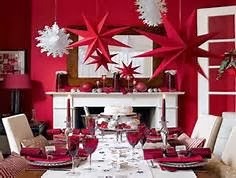 Once dry, wrap artificial garland with pinecones around the bottle's neck or let the garland cascade down the bottle. Place pine tree-scented white taper candles in the bottle openings, light and enjoy for a fresh look and smell that will stimulate your senses well into 2014. Another easy way to excite the senses during a drab, gray winter is with pops of color. For a decorative display that lasts all season, avoid the red and green color combination associated with Christmas and branch out with more contemporary choices like teals, blues, purples and pinks. Metallics like silver and gold are also a great way to glitz up the season without looking like the North Pole in overdrive. Spice up old ornaments, vases, frames, centerpieces and more in no time at all. Group spray-painted ornaments or pine cones in a hurricane vase or glass bowl and display on the mantel for added ambiance to any living room. The inside of the home isn't the only space you can be creative. Make a lasting statement before houseguests even step inside your home by focusing decorative attention to the outside. Line walkways and driveways with lights or faux miniature pine trees, and place white flameless candlesticks on each windowsill to add a simple touch of holiday spirit without going overboard. Prop a vintage snow sled outside the front door to welcome guests. So, this year instead of the same decorations, consider some fun and easy ways to re-beautify them into pieces that you'll be proud to display throughout the winter season. Down and feathers come from nature, are biodegradable and renewable; consequently they have the lowest carbon footprint of any bedding fill material. Thirty-six percent of U.S. adults use down and feather bedding precisely because it is eco-friendly. Being a natural insulator, down helps regulate body heat for an optimal sleeping experience, which allows homeowners to turn down the thermostat at night and save on heating costs. 55 percent of U.S. adults who use down and feather bedding have chosen it precisely for its natural warmth. As cooler weather descends, homes heat up and so does the risk your family could experience a home fire or carbon monoxide (CO) poisoning. Most home fires and CO poisonings occur in the winter. Besides heating appliances, seasonal activities such as increased cooking, candle usage and holiday decorations all add to the risk. In fact each year winter fires claim an average of 945 lives, injure 3,825 people and cause more than $1.7 billion in property loss. To help keep your home worry free from fire and CO this winter, answer these questions to customize your winter home improvement projects with tasks that save money, reduce a common household annoyance and increase safety. One in four older homes needs to update fire safety equipment. How old are your alarms? * Replace smoke alarms every 10 years and CO alarms every five to 10 years, based on the alarm model. * Purchase an alarm with a 10-year sealed lithium battery to receive hassle-free protection for a decade -- no need to change a battery or hear a low-battery chirp. Seventy-five percent of homeowners don't know where to install smoke alarms. Do you have enough? * Fire experts recommend placing smoke alarms on every floor and inside/outside all bedrooms. Choose alarms with room-specific features, such as an LED light in the hallway, or a voice notification for the bedroom. * Place a CO alarm near sleeping areas and on each floor. Keep them 10 feet away from fuel-burning appliances. Do your alarms incorporate the newest features and technology? * A sealed-in 10-year lithium battery not only continuously powers the alarm, it's also tamper-proof and can't be removed. * A digital display shows the level of CO in the air and updates the reading every 15 seconds. *An intelligent multi-sensor responds faster to real fires and CO, while reducing nuisance alarms like those commonly caused by cooking. *An end-of-life appliance warning lets you know when to replace your alarms. Do you need other safety products? * Fire extinguisher - place one within reach in rooms where fires often begin: kitchen, garage, bedroom, living area. * Escape ladder - place in second- and third-floor rooms as an alternative escape route. Have you developed a family escape plan? *Create a plan and practice regularly. Know two ways out of every room and who will assist children and loved ones with mobility/health issues. Do your children know their address and how to dial 911? * Post your home address and emergency phone numbers on the refrigerator. Are your appliances and chimney winter-ready? * Have a professional inspect fuel-burning appliances to ensure they function properly and that they vent outside. * Have a professional clean or inspect fireplaces annually. Birds and small animals can cause leaves to build up on top of the chimney, preventing carbon monoxide from venting properly. * Create a 3-foot clutter free zone around fireplaces, space heaters or wood stoves.